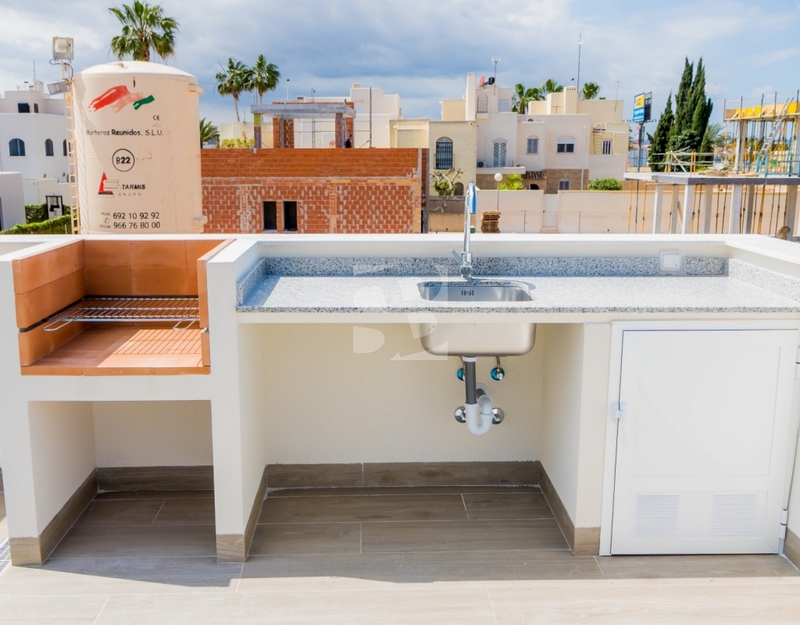 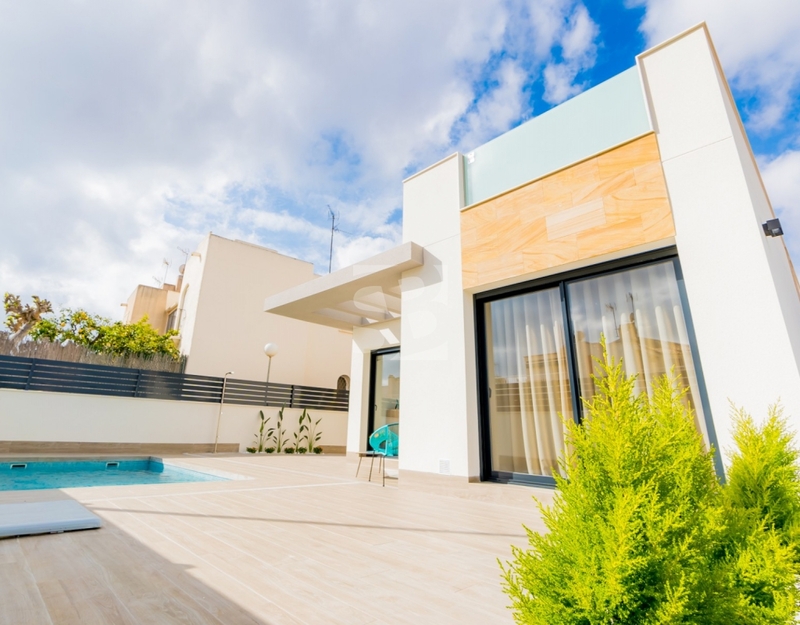 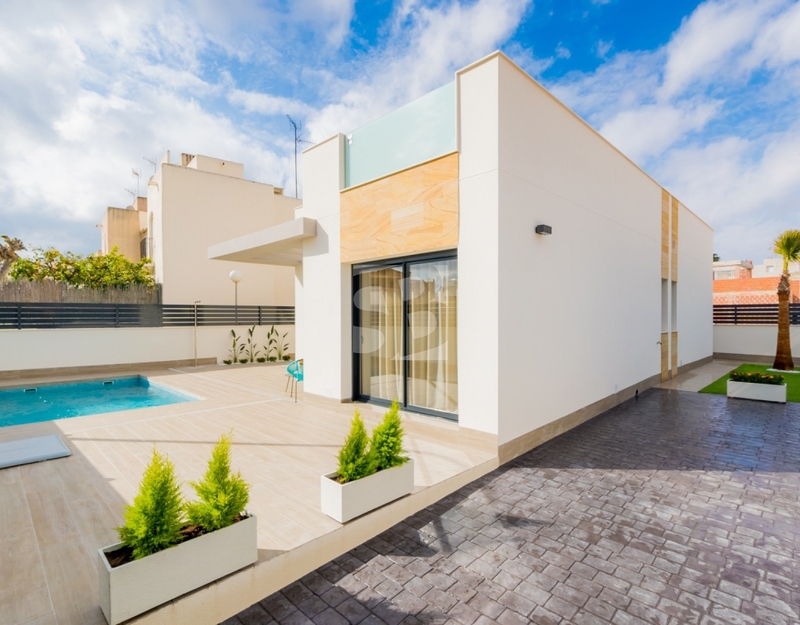 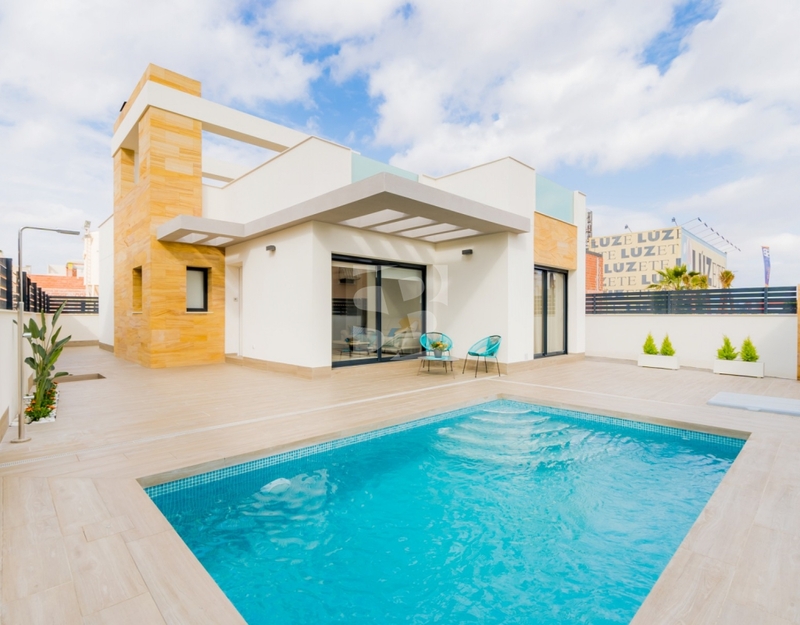 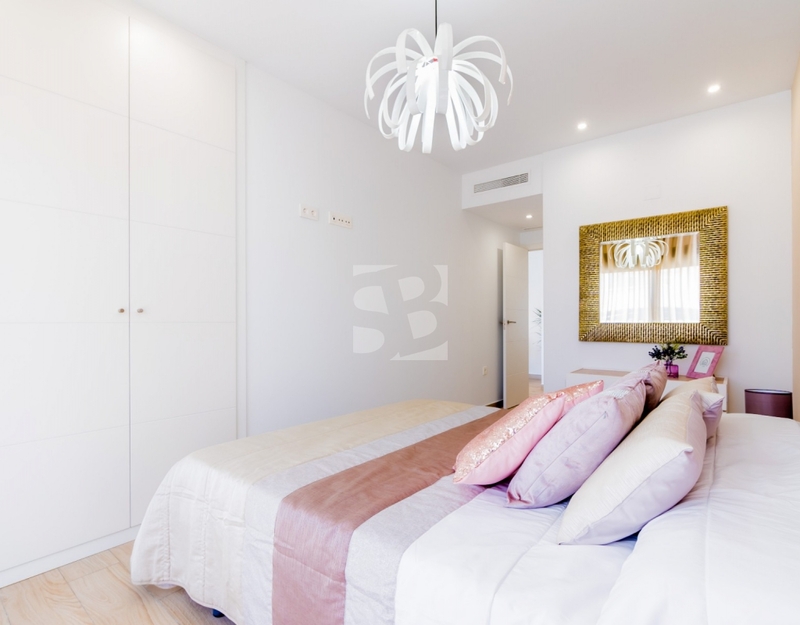 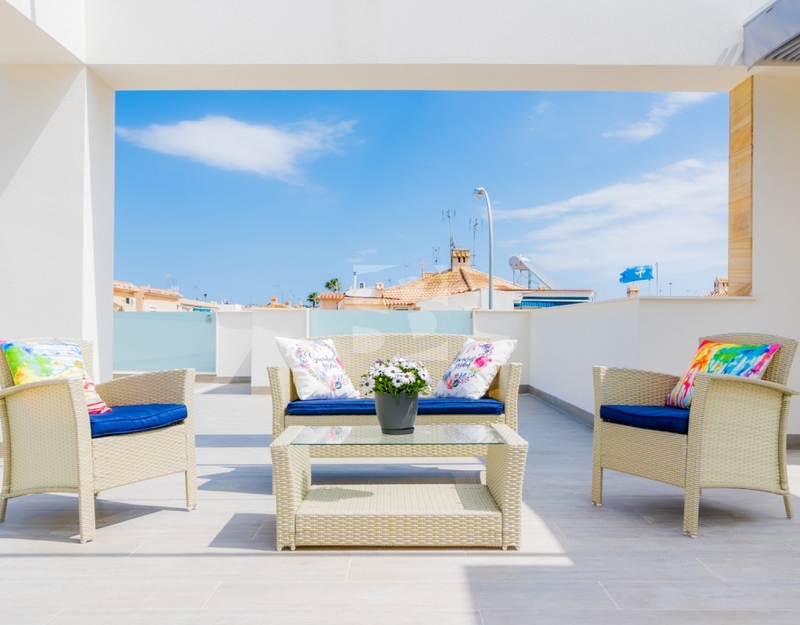 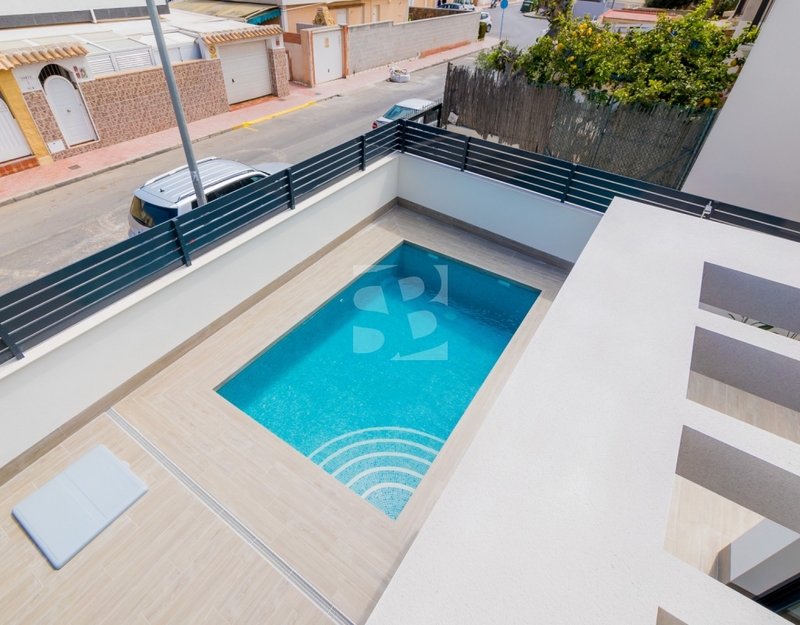 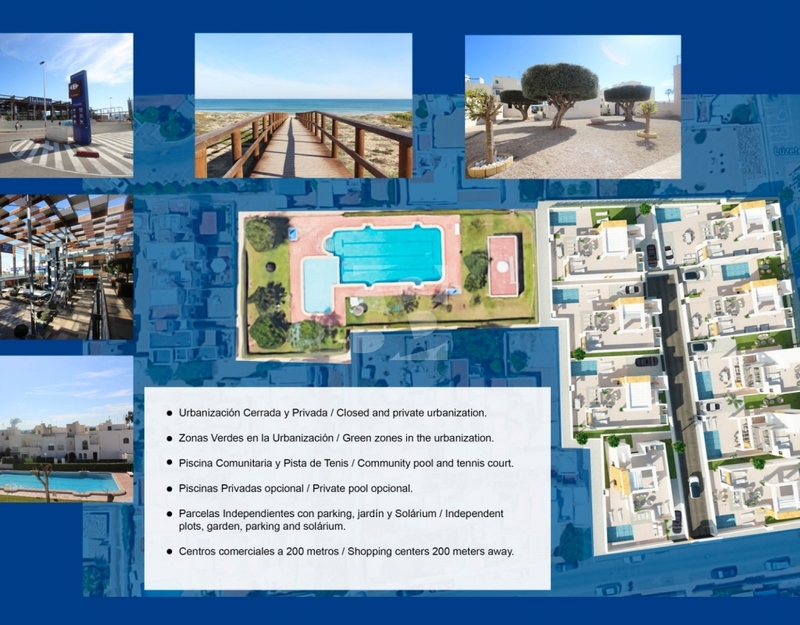 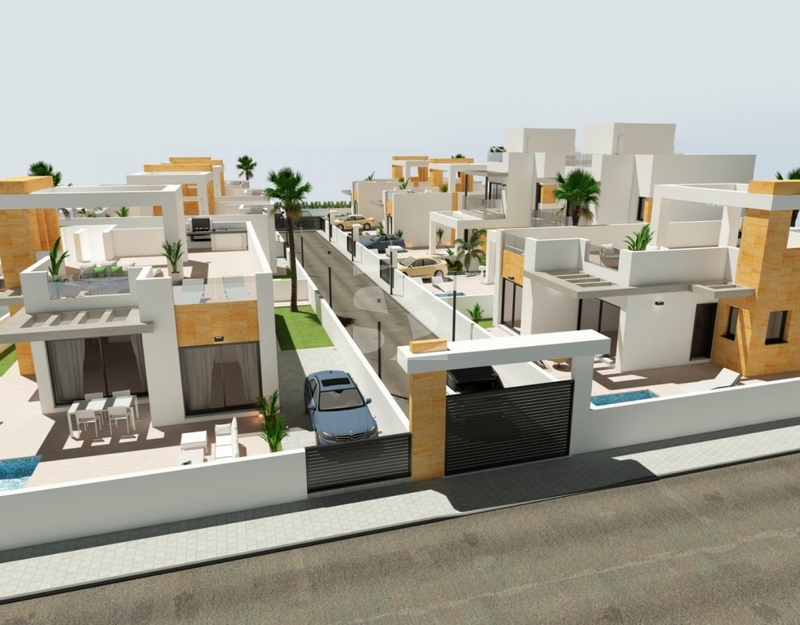 Independent Villas in Torrevieja, with South Orientation and private pool. 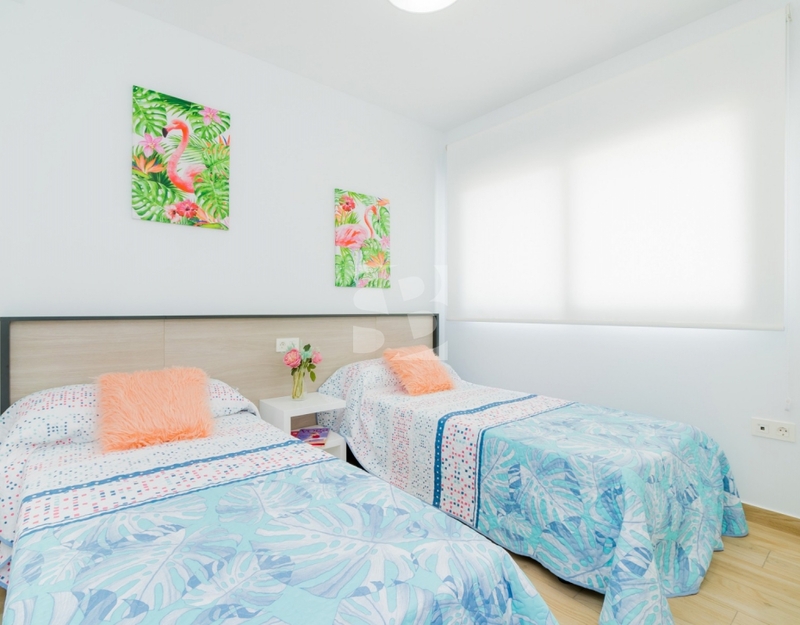 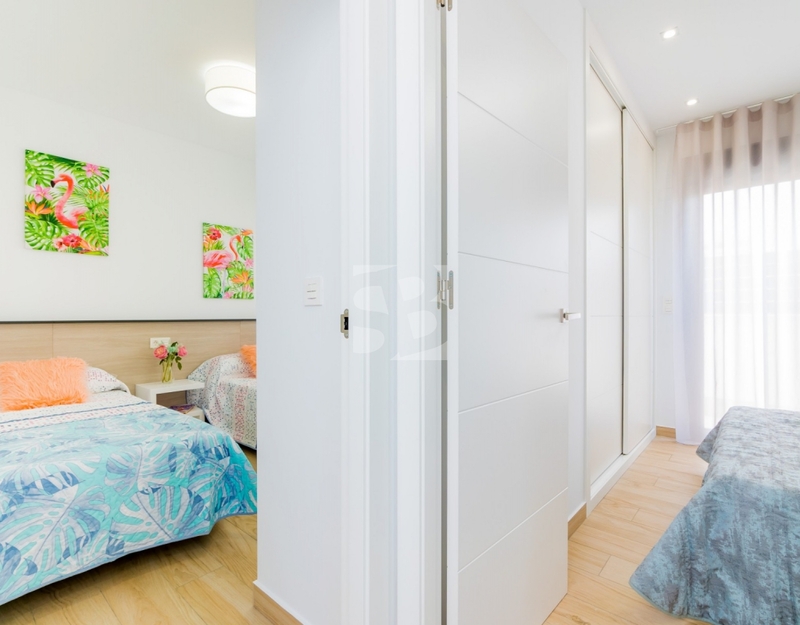 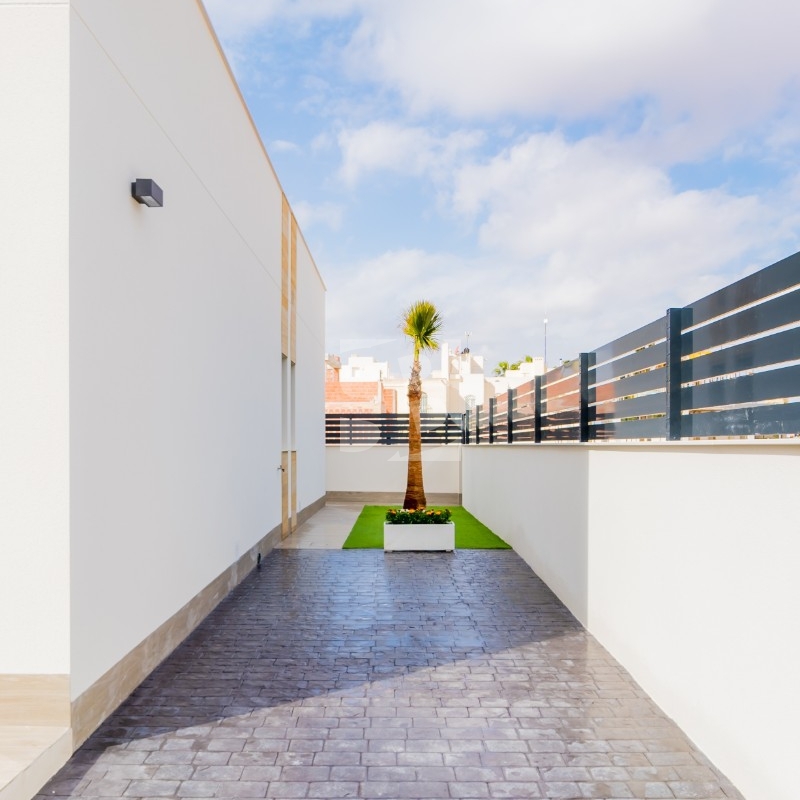 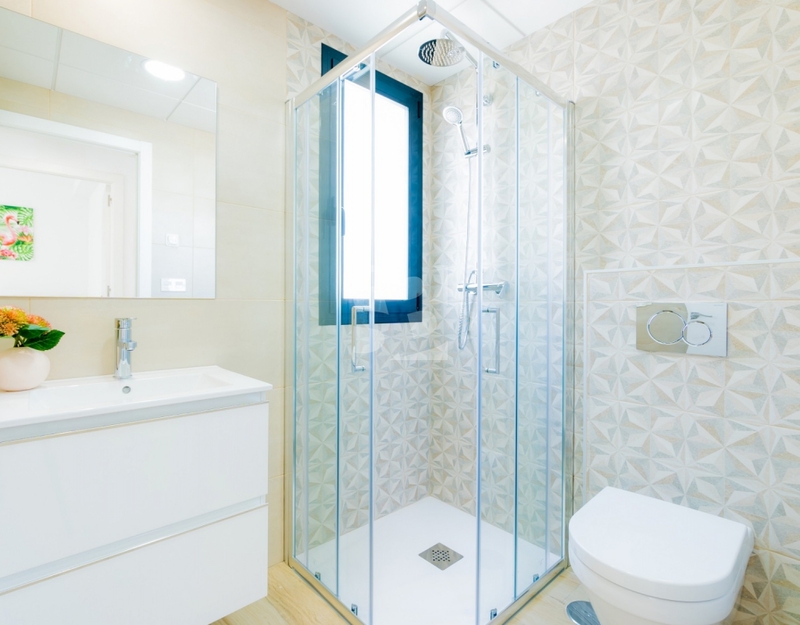 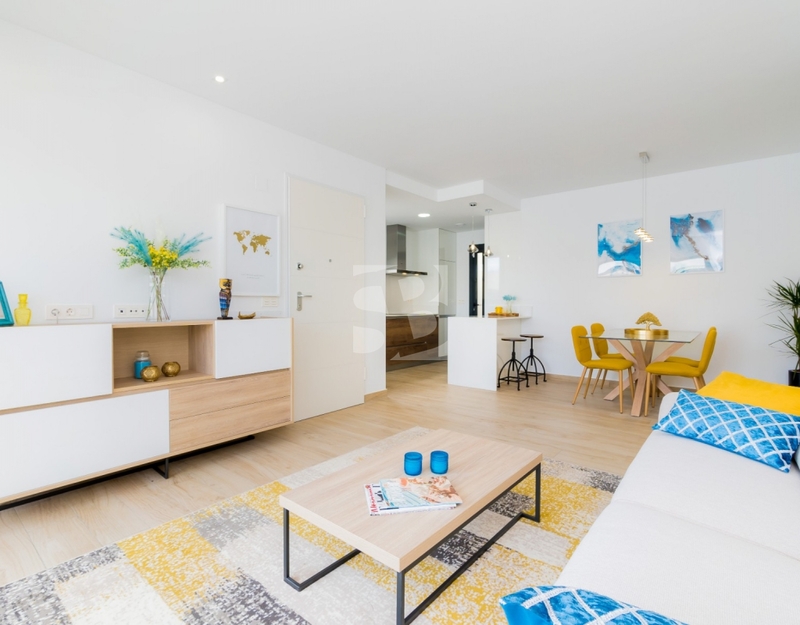 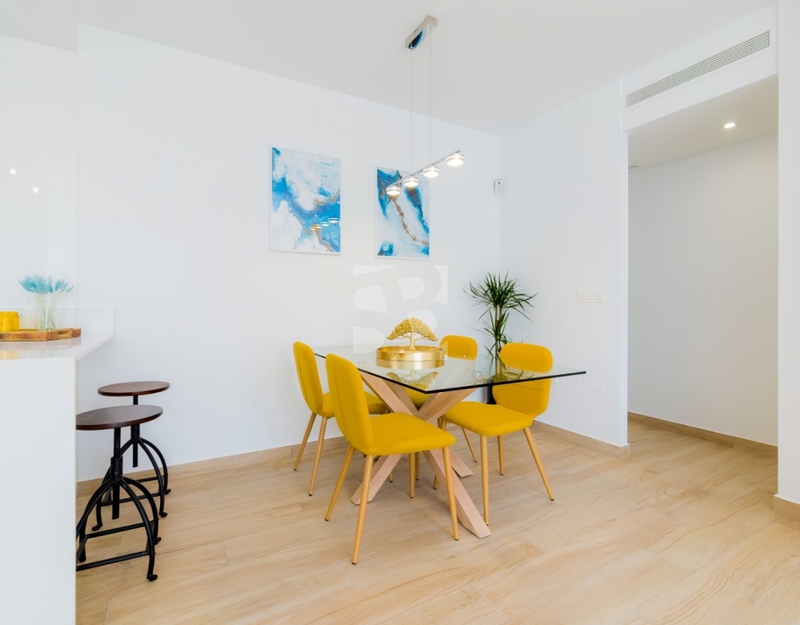 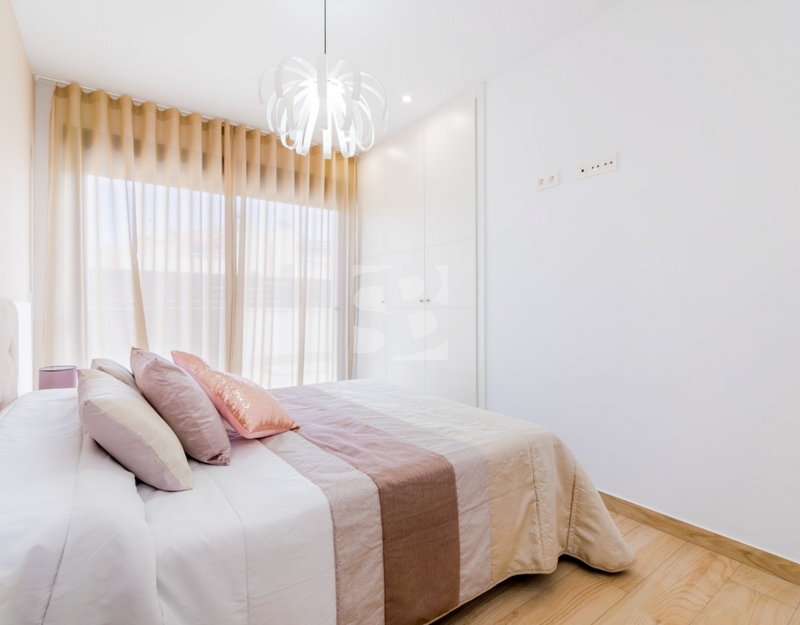 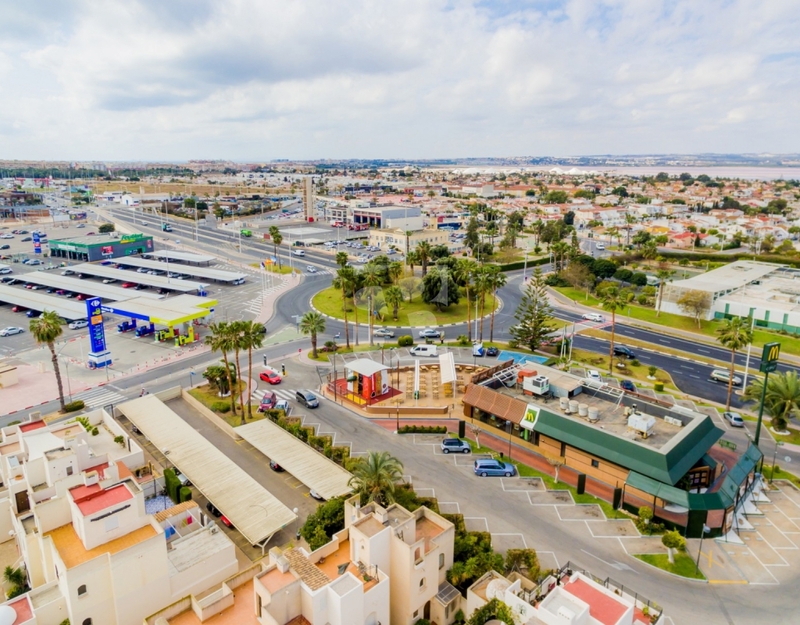 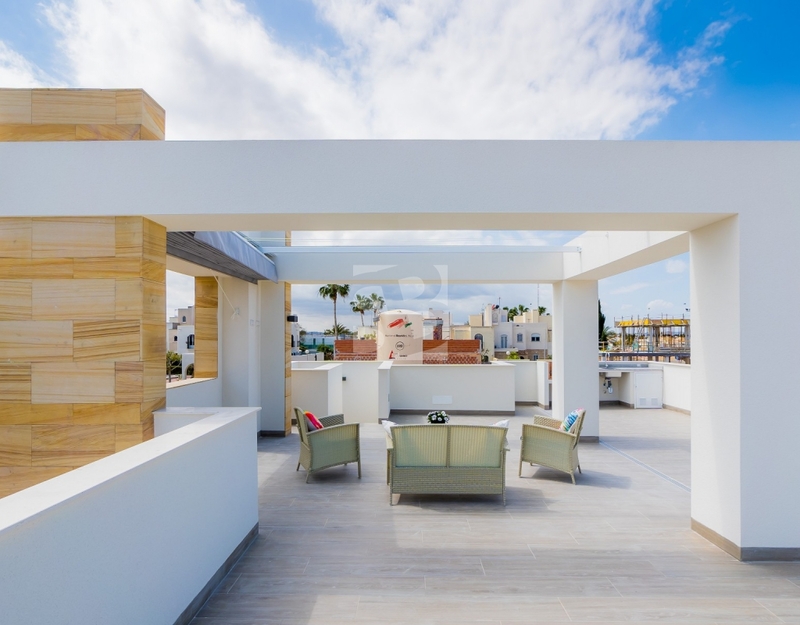 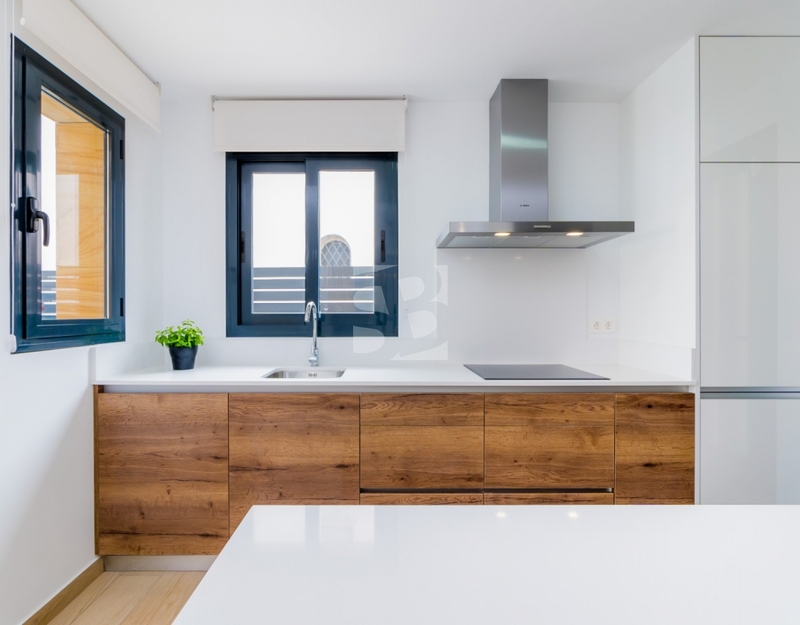 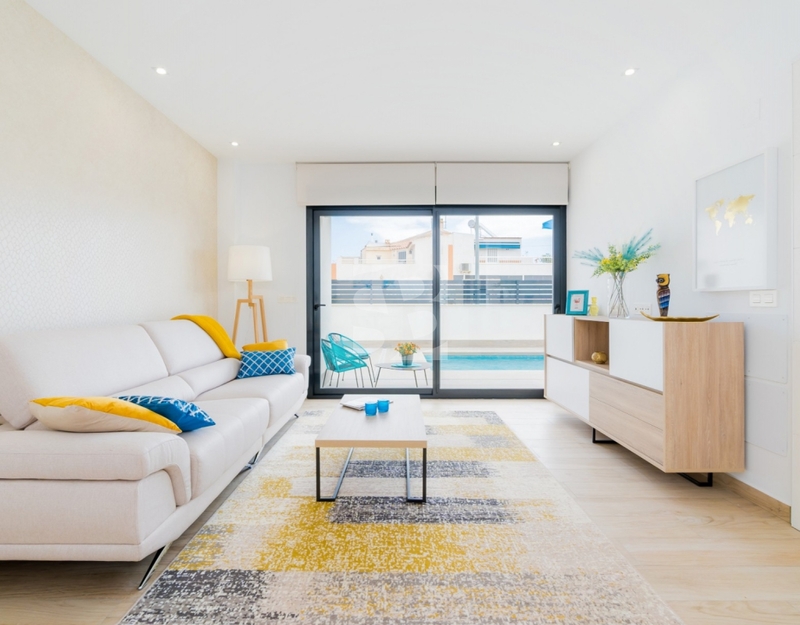 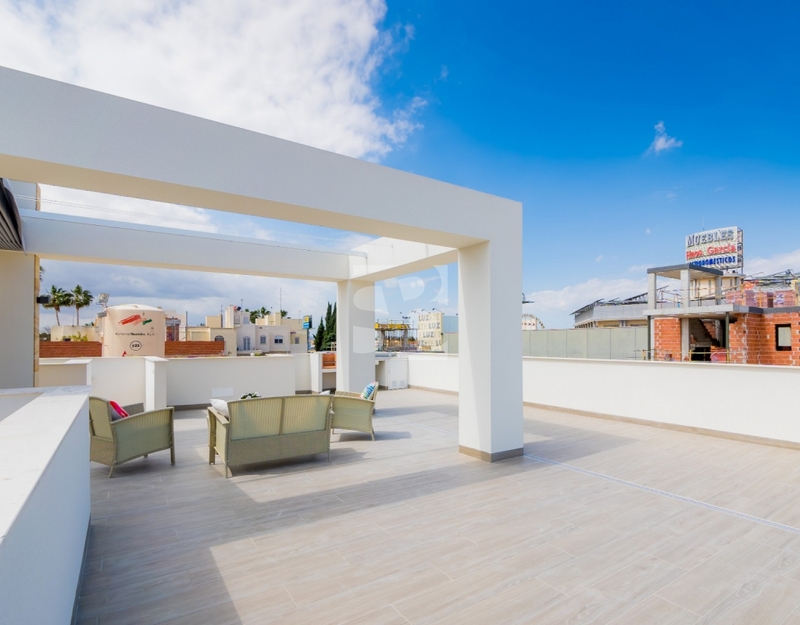 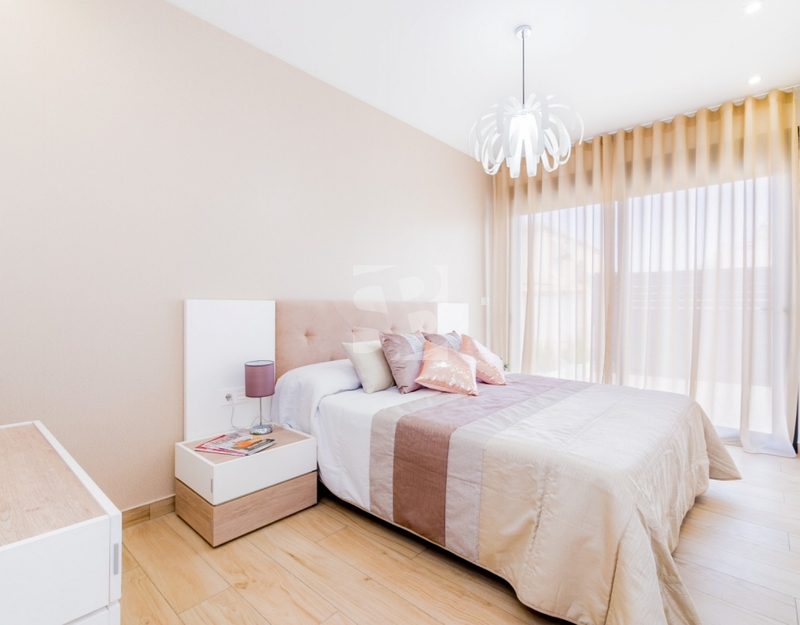 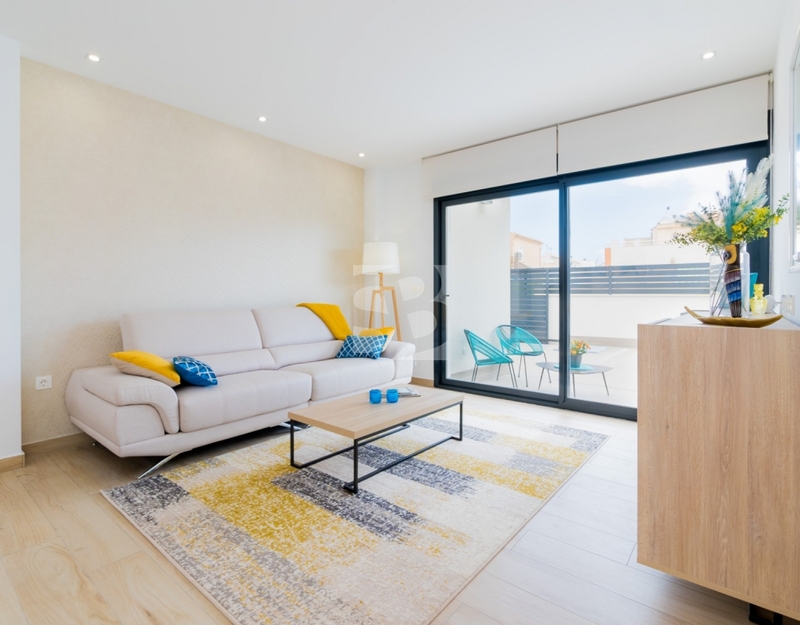 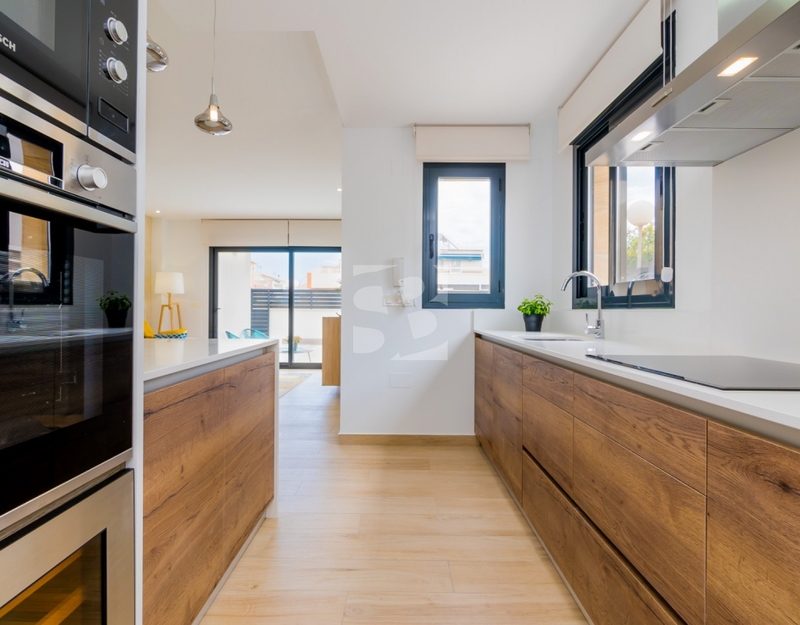 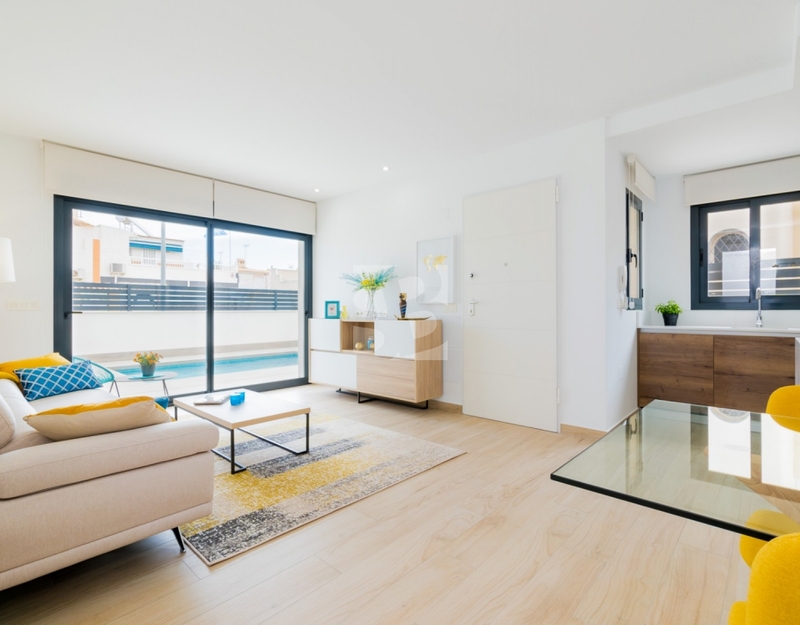 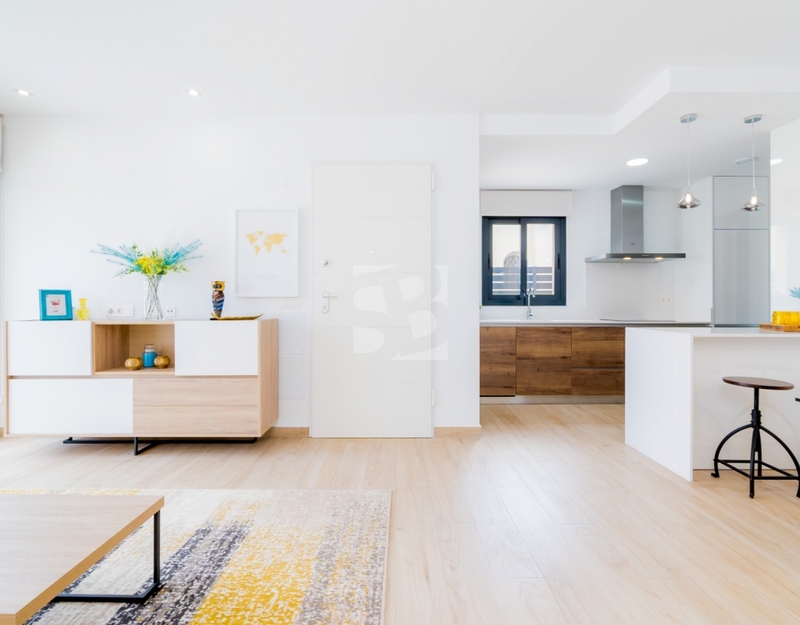 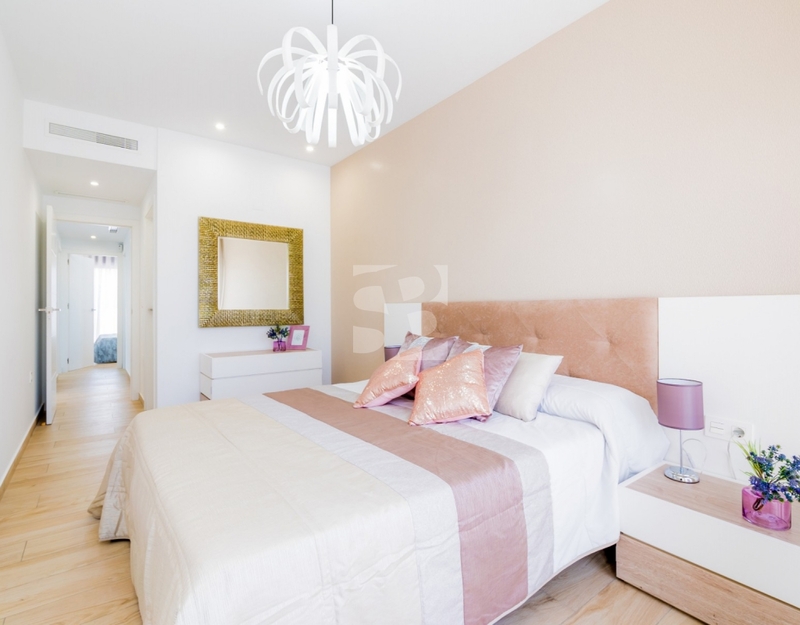 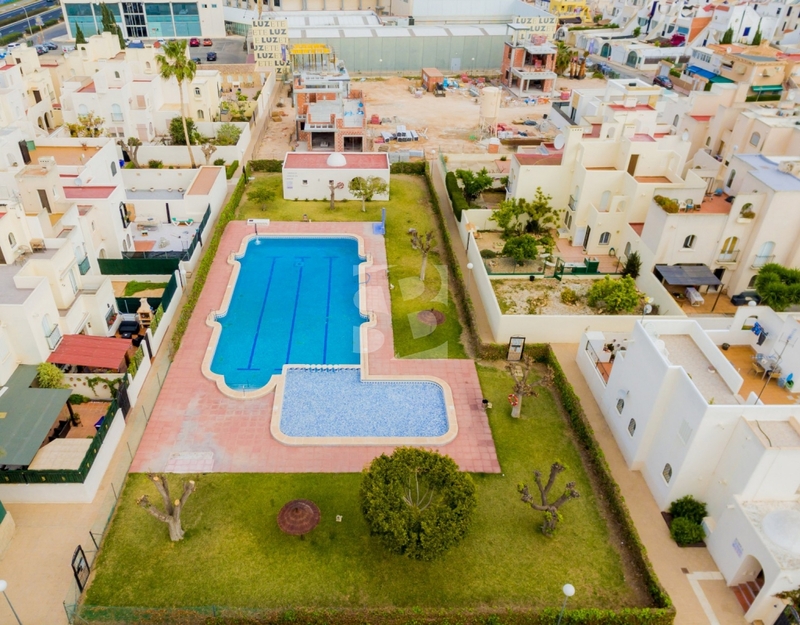 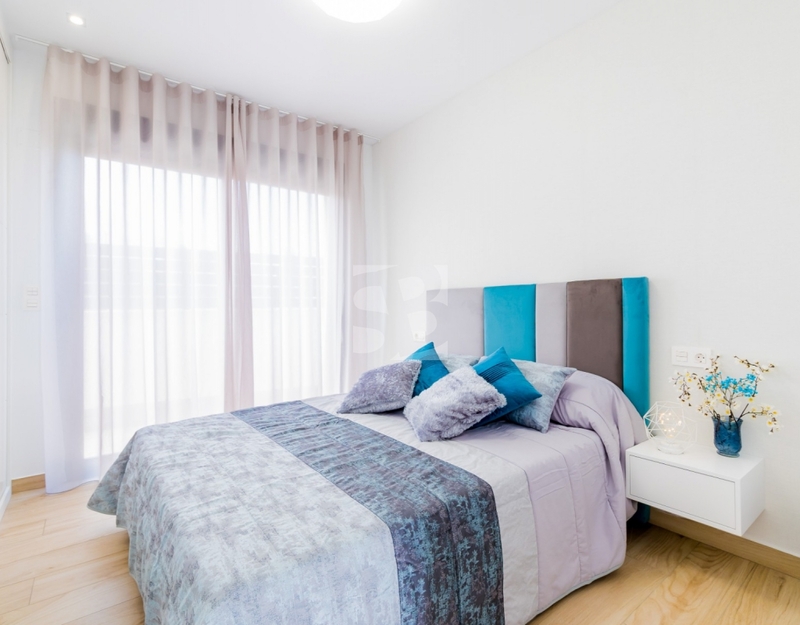 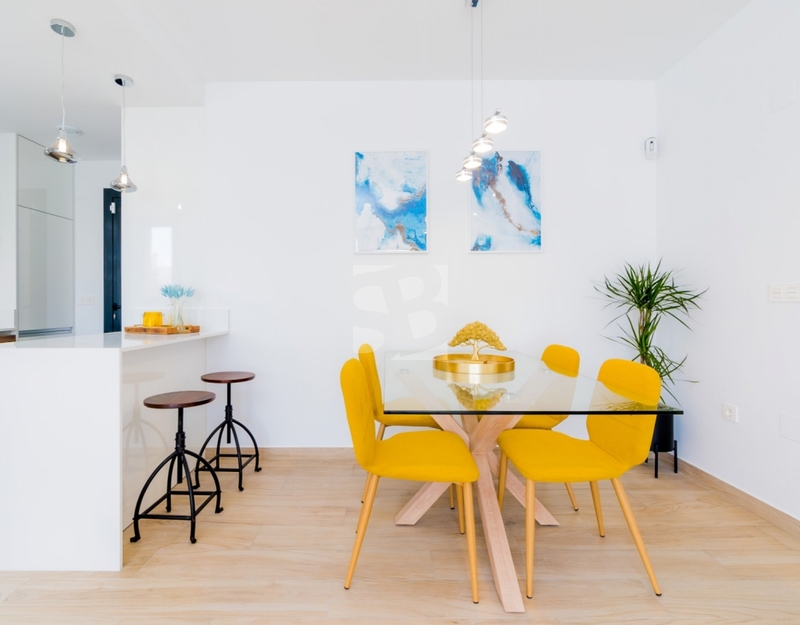 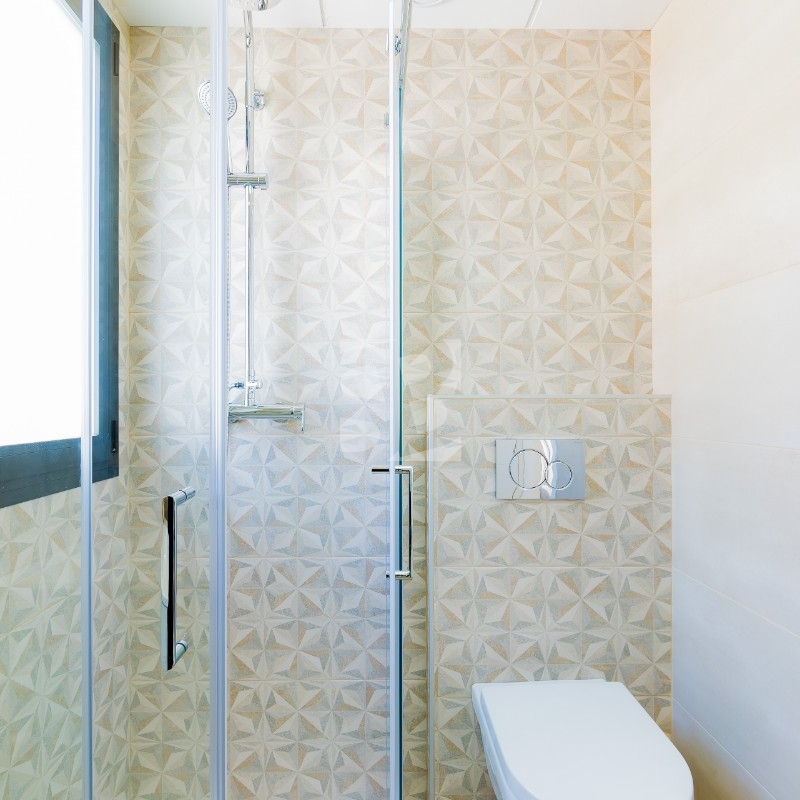 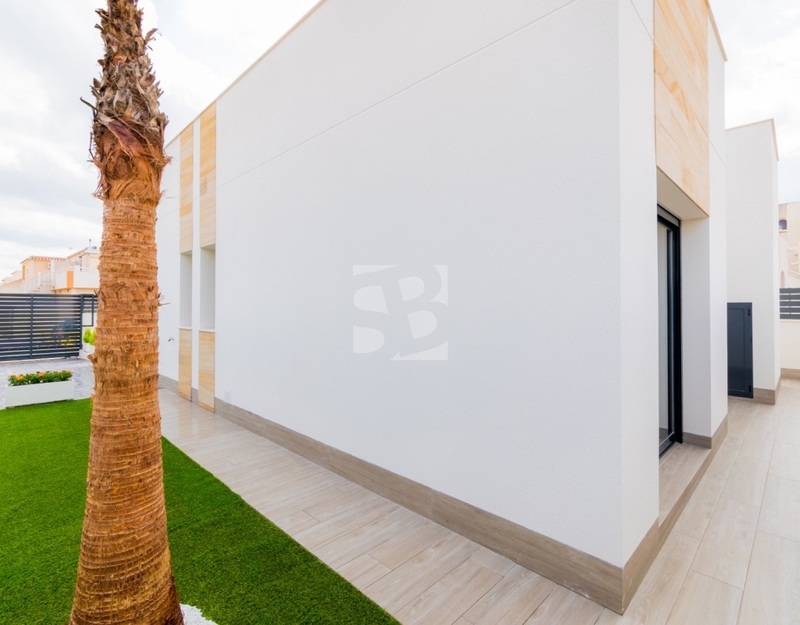 Within the urbanization there are large green communal areas, tennis court and large communal swimming pool, next to Carrefour and C.C Habaneras shopping area in Torrevieja, SUNLIFE HABANERAS VILLAS Residential. 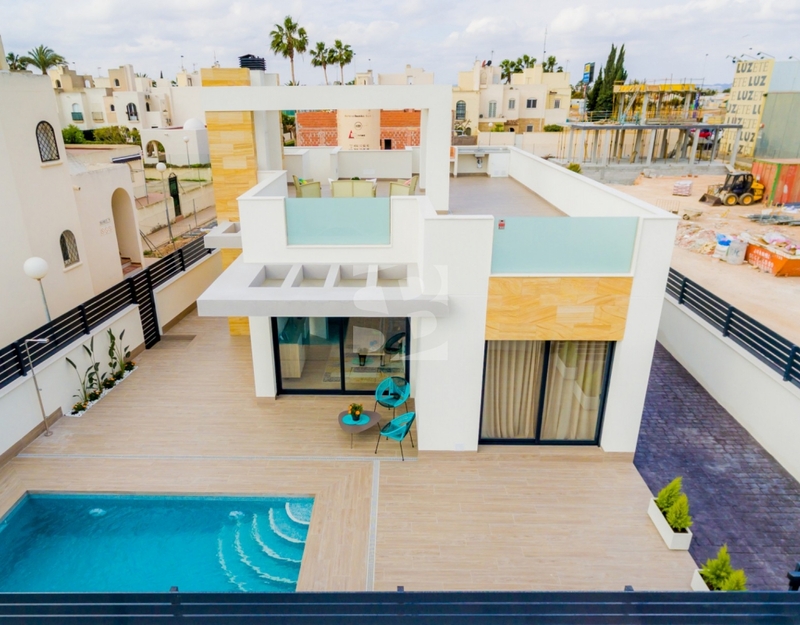 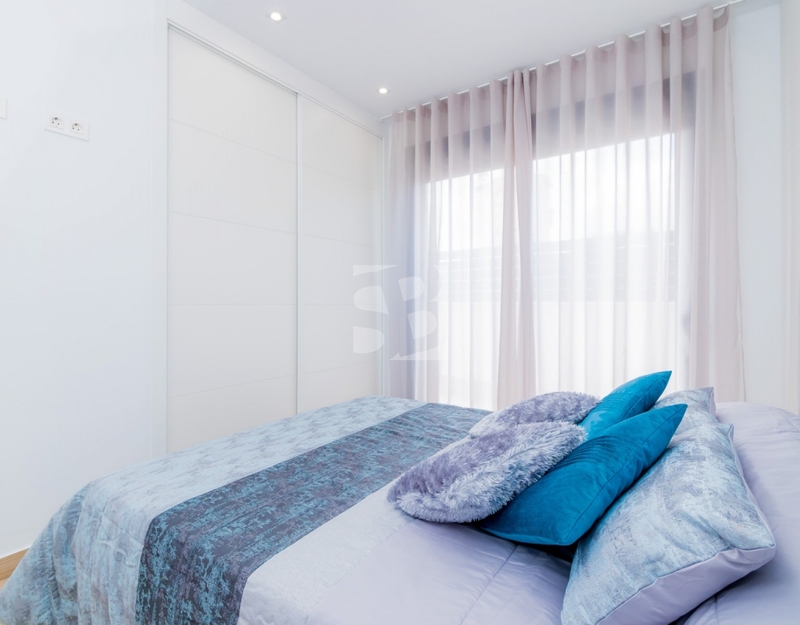 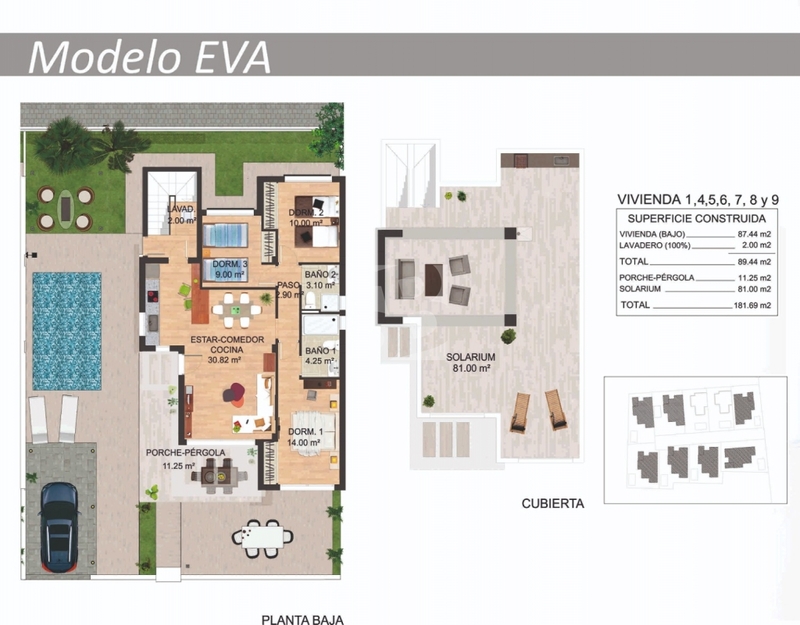 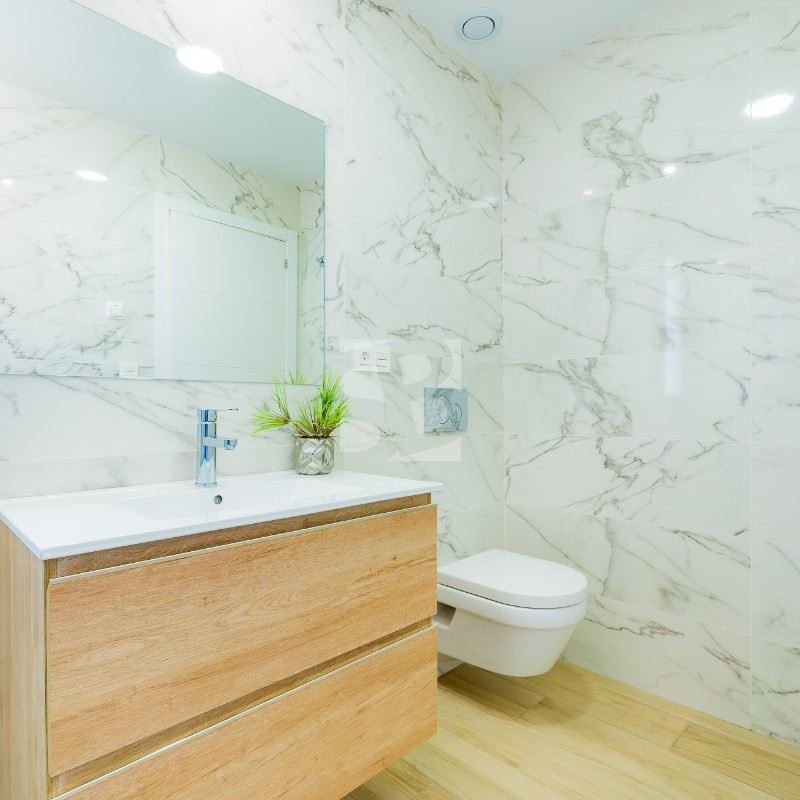 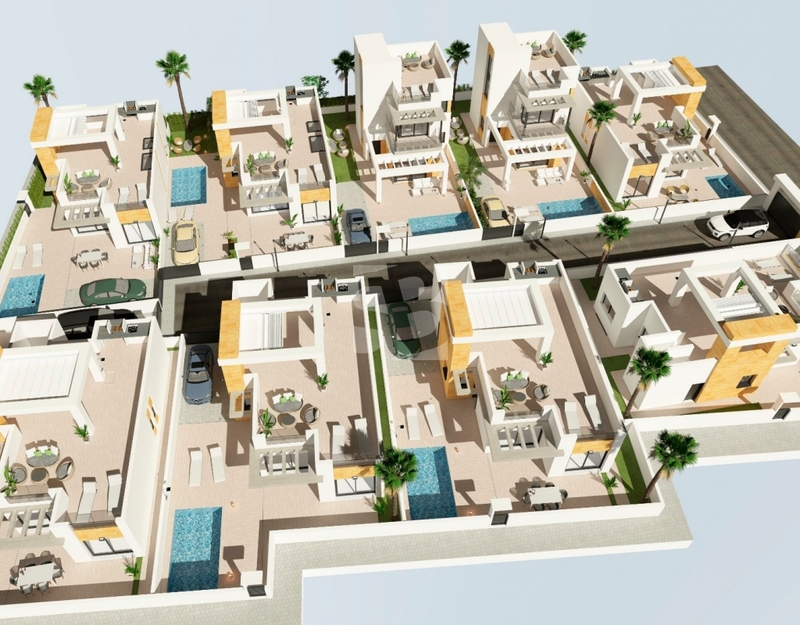 The EVA model consists of 7 comfortable villas, on the ground floor and solarium, with 3 bedrooms and 2 bathrooms, living room, kitchen, terrace, patio, solarium and private pool, plots from 226 m2 to 276m2, each house has a built area of 181.69m2. 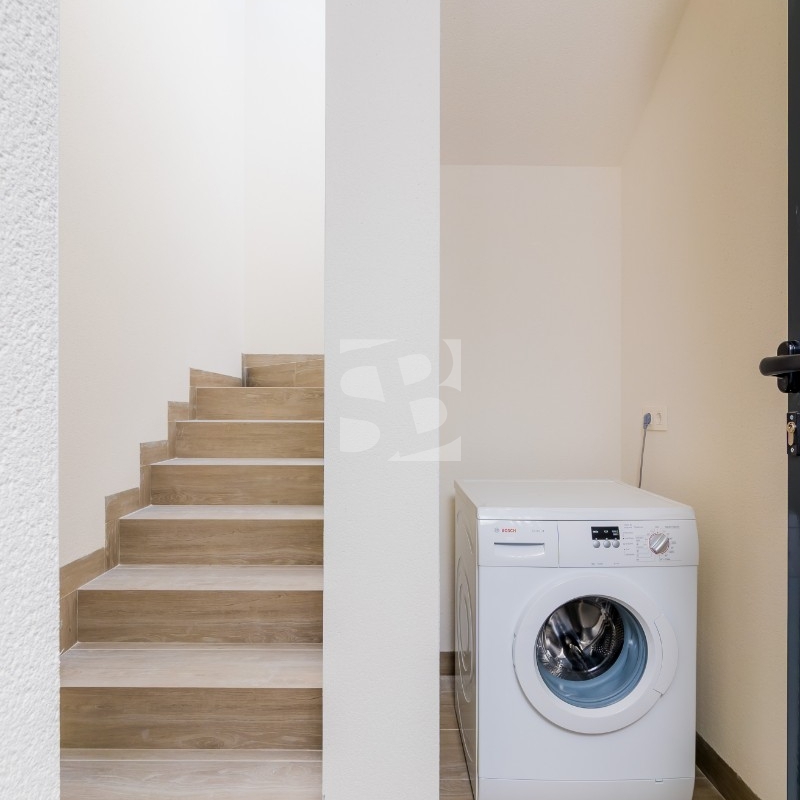 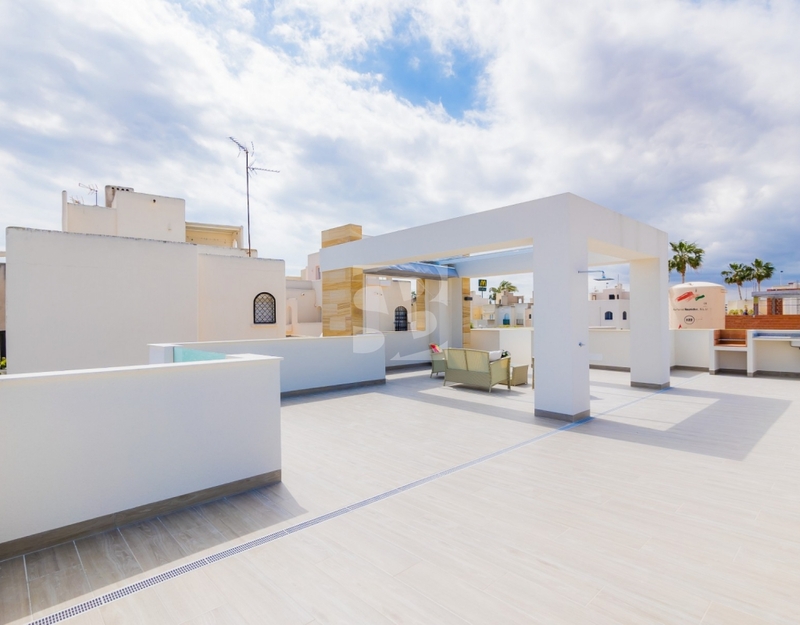 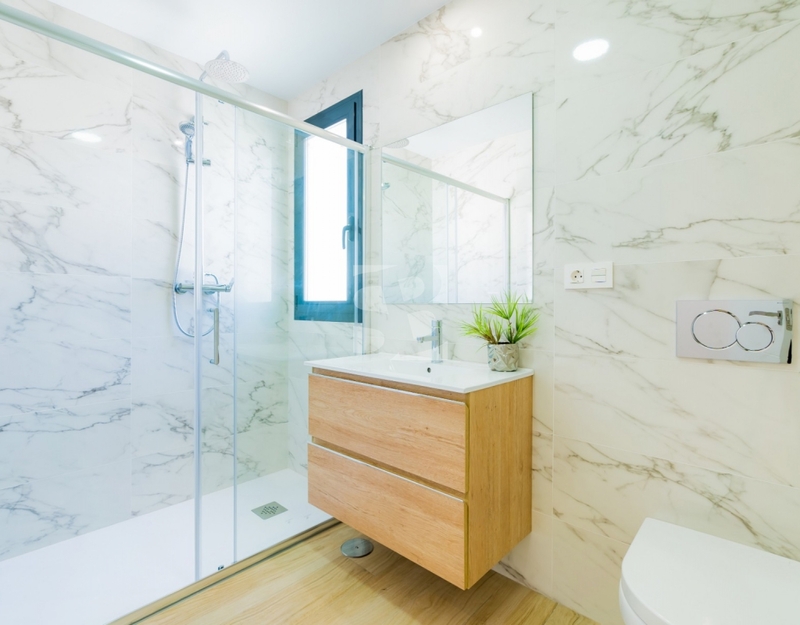 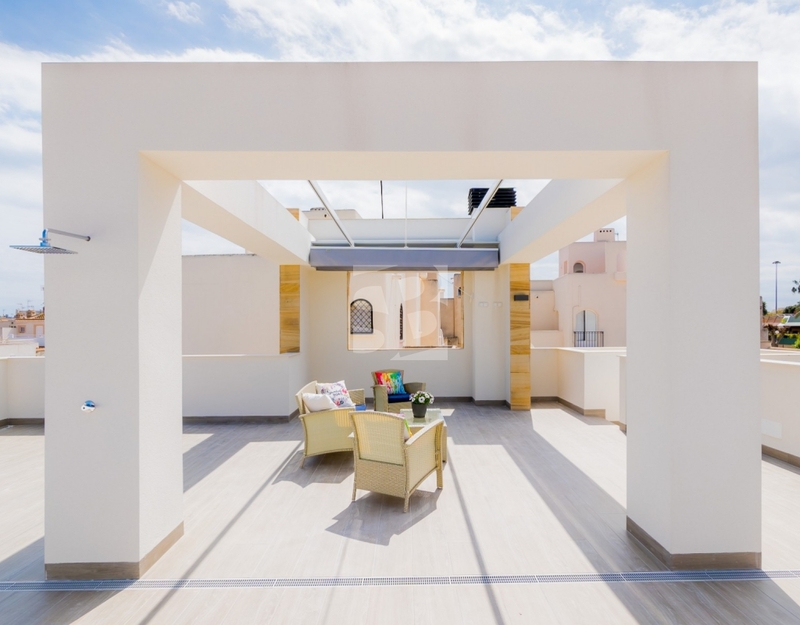 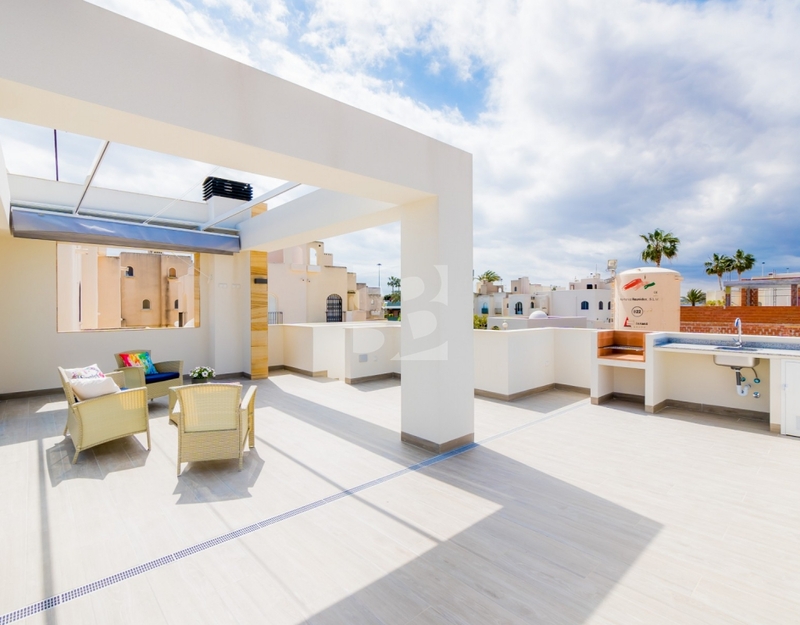 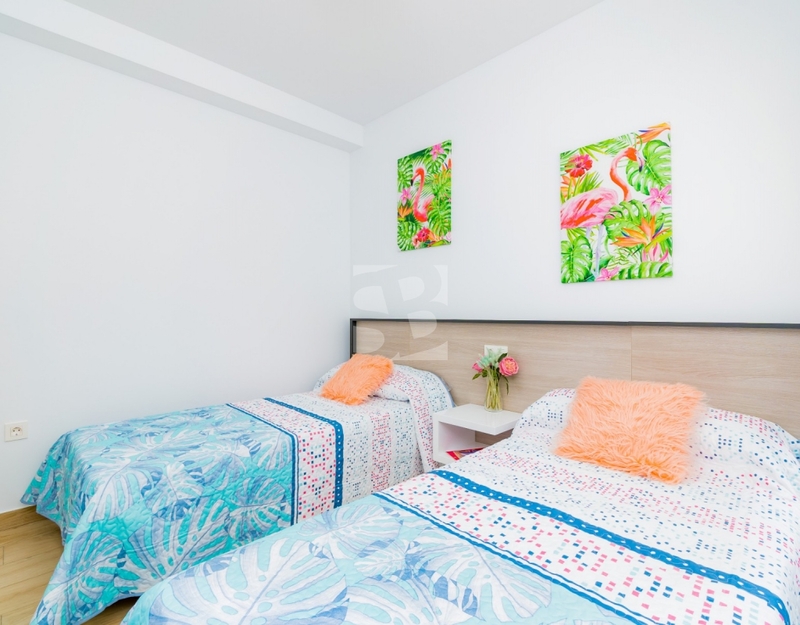 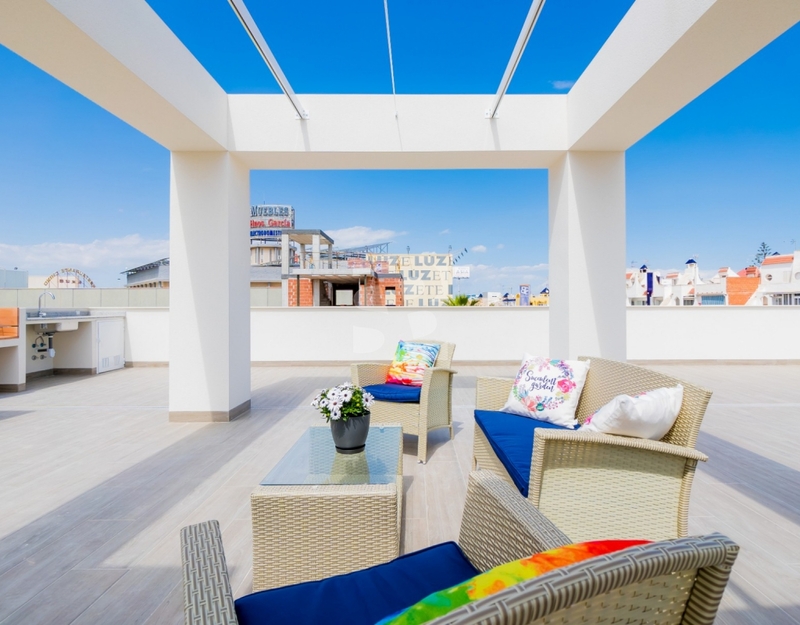 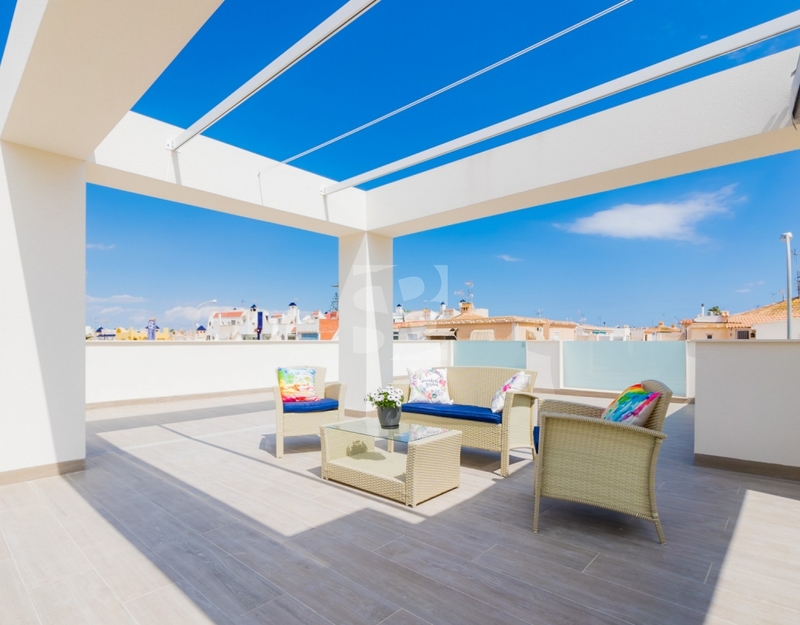 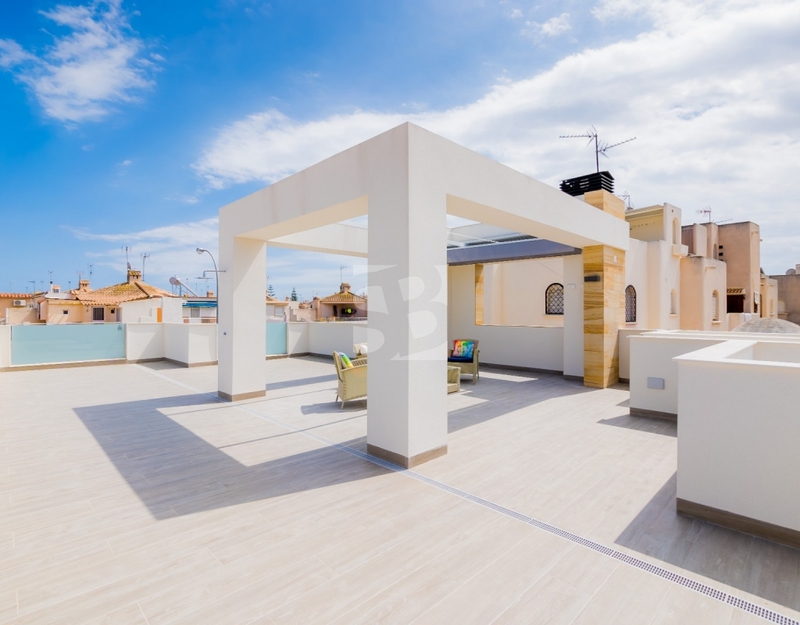 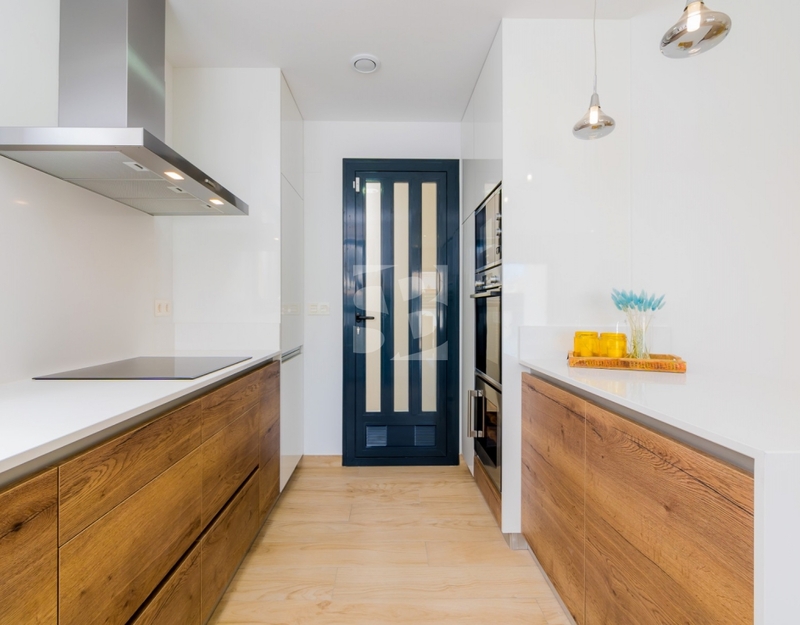 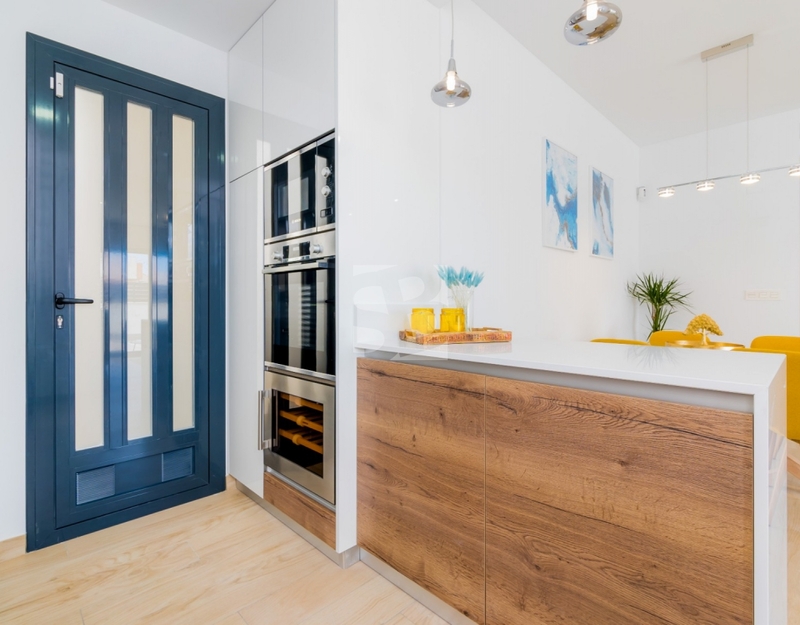 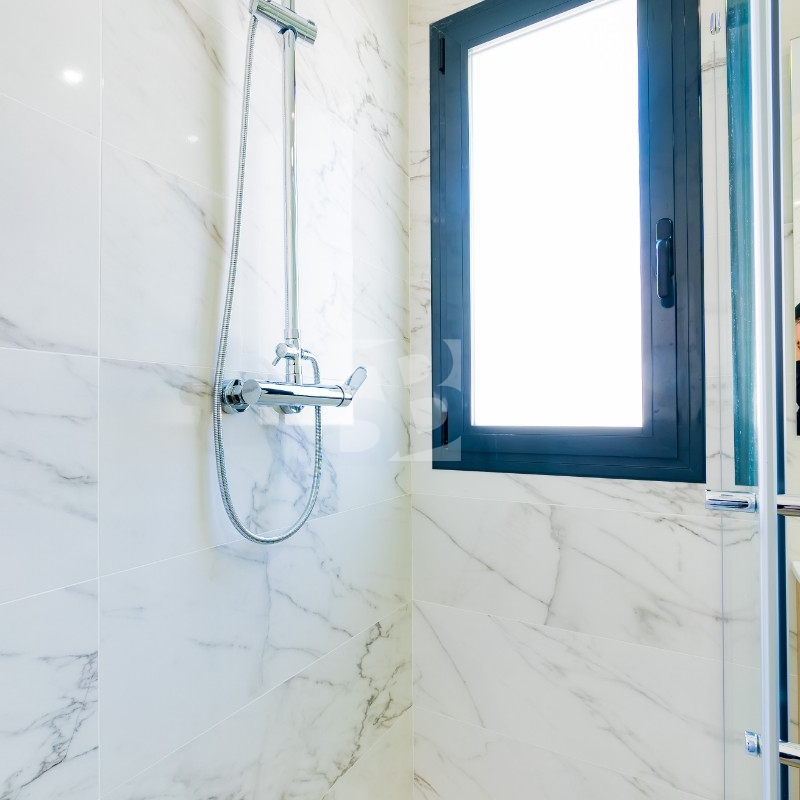 The comfort of living in a ground floor villa with a large solarium with large pergola, barbecue area and shower, where you can enjoy the Mediterranean climate. 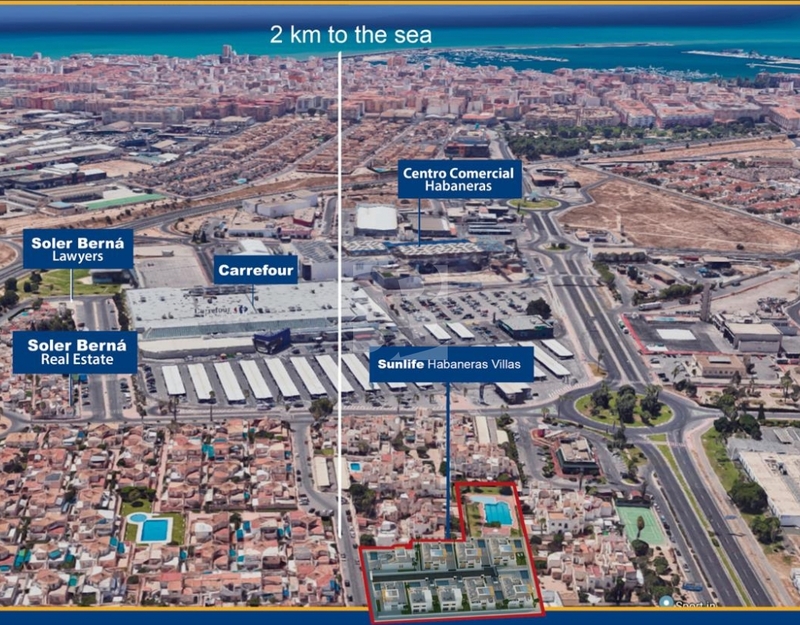 Distance to beach: 2.7 km.